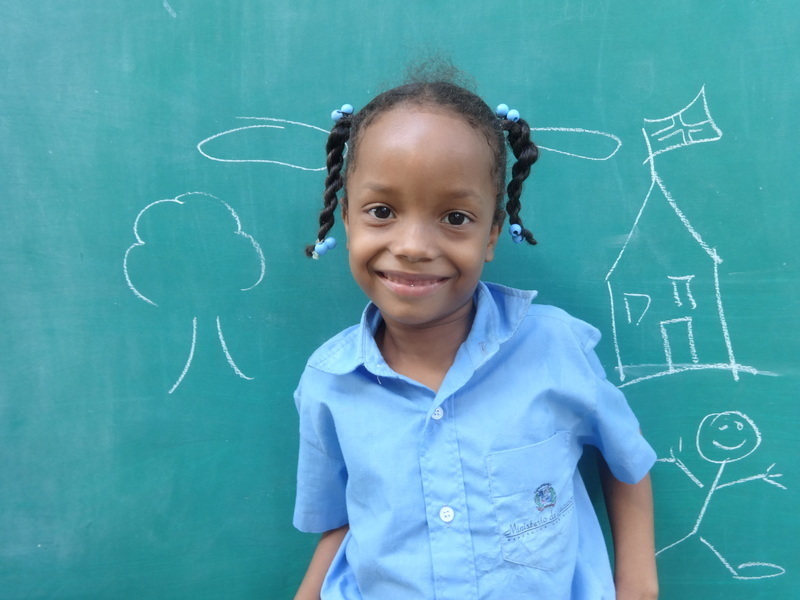 Yumeiry, age seven, attends our Eva Russell School in grade 2. When she first came into our care she often looked sad and was very quiet. She frequently missed school because her mother was neglectful and did not bring her. Neglect is an issue that many children face in the Dominican Republic. Children are left on their own due to their parents being preoccupied earning an income due to either necessity or disregard for their children. Now Yumeiry loves coming to school and every day she gets ready for school and walks a kilometre to her lessons all by herself. Yumeiry’s favourite activity is singing and even though she has not yet learnt to read she knows all the lyrics from memory and can recite many Bible stories. At school she receives the love, care and attention she lacks at home and we are seeing great changes in her. The Eva Russell School provides hundreds of children with a quality education and chance to escape poverty. Since its opening in 1996 over 3,000 children have received a great education at the Eva Russell School, many have gone on to achieve their dreams. In Bekoji we welcomed 13 families onto our Income Generating Programme, these families are the most needy but also have the strongest desire and ability to work to provide a sustainable income to support their families.